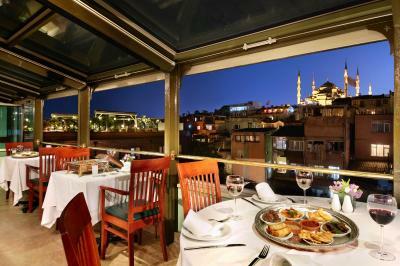 Lock in a great price for Armada Istanbul Old City Hotel – rated 8.3 by recent guests! Excellent view from the restaurant and from our room. 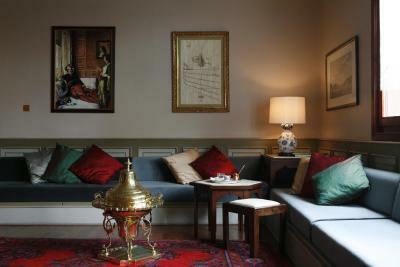 The hotel is charmingly Ottoman colonial with historical artifacts in the lobby and painted wood panel rooms. The view from the terrace restaurant is extraordinary. 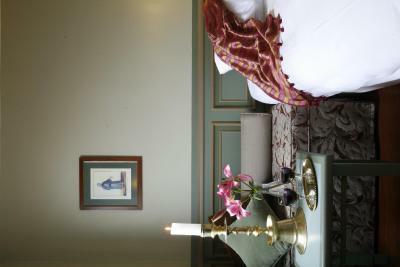 The bed was so comfortable, location great and breakfast was unbelievably good, abundant and varied. Would absolutely return. I loved this hotel ! 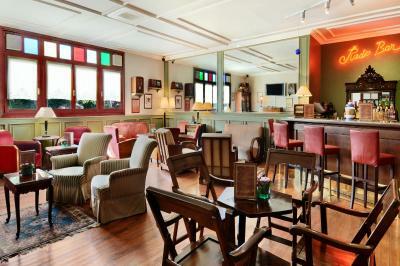 it is not an old hotel but has an antique style decor which recalls the Ottoman period in Istanbul. The bathroom is very modern, and it is nice to have the little fridge in the room. 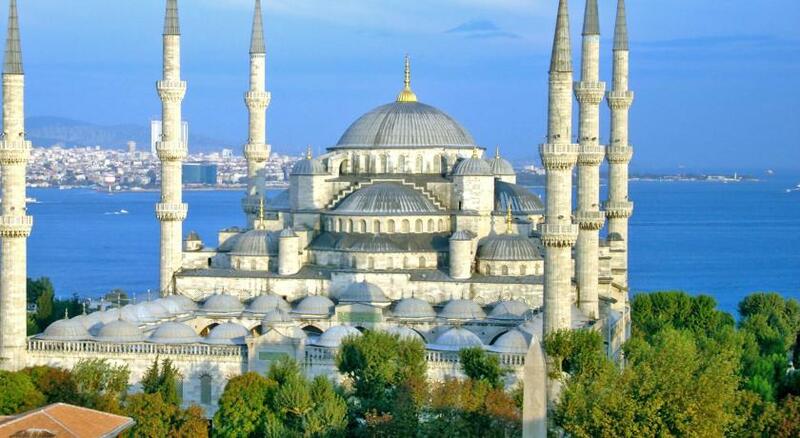 The rooftop restaurant has a great breakfast and if you go up there for dinner you will see a gorgeous view of the Sea of Marmara in one direction and the lights on Haghia Sophia and on the Blue Mosque if you look the other way. Hotel is spotlessly clean. Staff is friendly and helpful. You cant beat it for the price. great location loveley atmospere helpful staff . 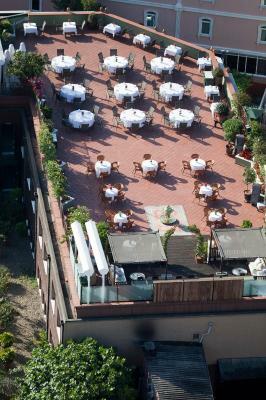 great food on the rooftop restaurant . Sight from the rooftop restaurant, very close to historical city center (necessary to walk uphill), cleanliness, very good meals in the restaurant, helpful staff. 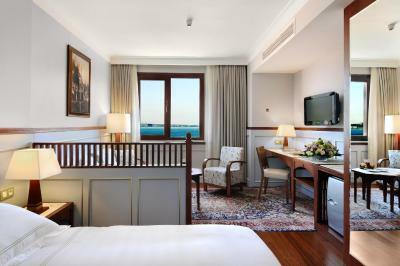 Armada Istanbul Old City Hotel This rating is a reflection of how the property compares to the industry standard when it comes to price, facilities and services available. It's based on a self-evaluation by the property. Use this rating to help choose your stay! 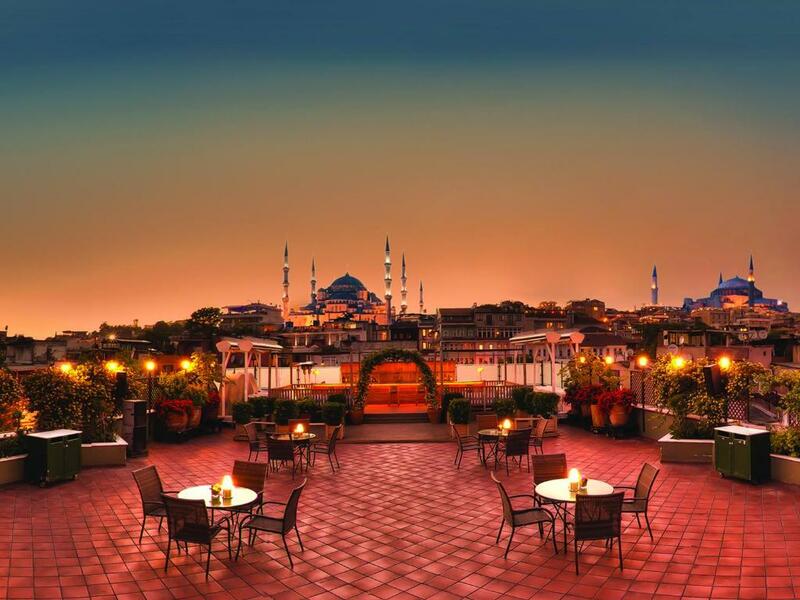 Located a 10-minute walk from Topkapi Palace, Armada Istanbul Old City features a rooftop terrace restaurant with views of the Hagia Sophia, the Blue Mosque and the Sea of Marmara. 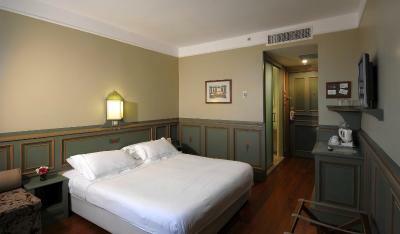 Rooms of the Armada Old City Hotel have decorated, wooden panels, parquet floor and traditional fabrics. Each includes a flat-screen TV, mini-bar and modern bathroom with organic bath products. 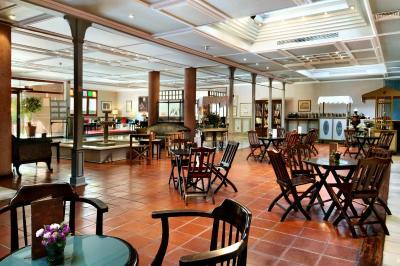 The healthy breakfast buffet offers home-made breads, jams and pastries. The fresh and dried fruits are organic and provide an energetic way to start the day. 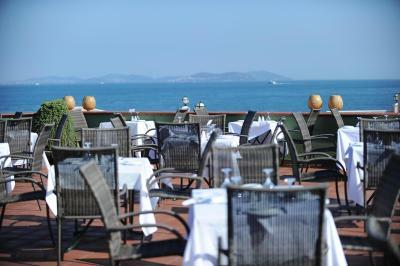 Guests can enjoy their meals in the Armada Terrace Restaurant and Bar at the rooftop with magnificent views. 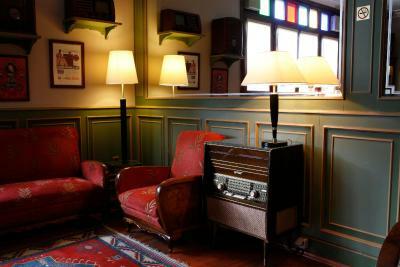 Drinks can be enjoyed at the Guest Lounge, which organizes a permanent display of 50’s and 60’s radios. 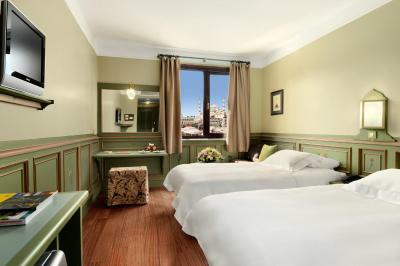 Old City Hotel Armada offers 24-hour room service, free WiFi and a guest relations desk. 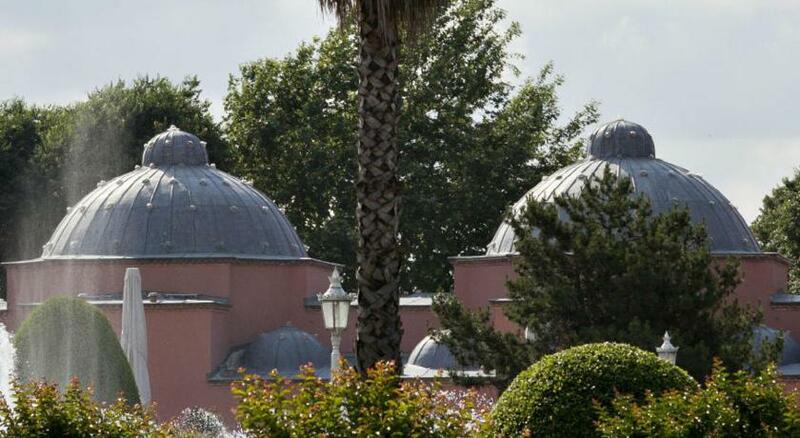 Guests can take a 10-minute walk to Sultanahmet Square or enjoy a 20-minute walk to Istanbul’s Grand Bazaar. 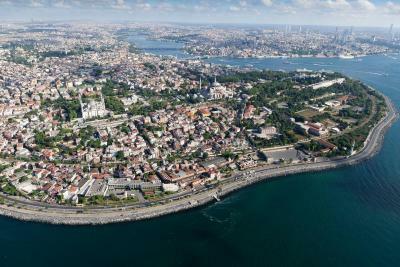 Istanbul Airport is 34 mi away. 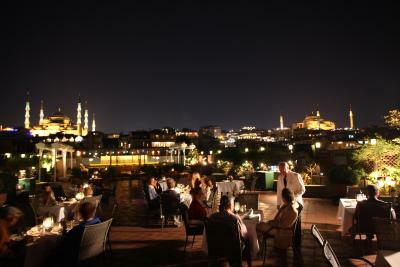 When would you like to stay at Armada Istanbul Old City Hotel? Ottoman style decorated room featuring air conditioning, a flat-screen TV and a minibar. Air purification system, safe and parquet or carpet covered floors are available. 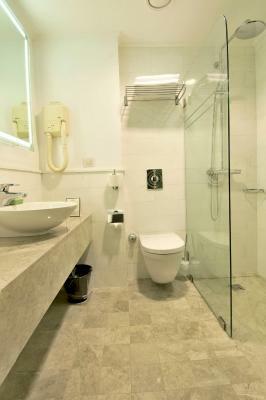 Private bathroom comes with herbal amenities, bathrobe and a shower or bath. 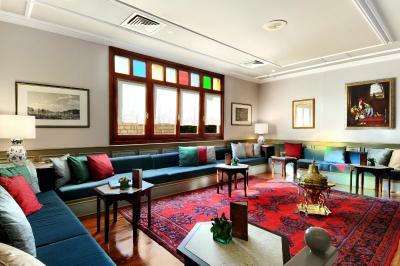 Ottoman style decorated room featuring air conditioning, a flat-screen TV and a mini-bar. Air purification system, safety deposit box and parquet or carpet covered floors are available. 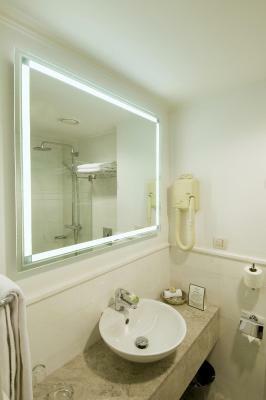 Private bathroom comes with herbal amenities, bathrobe and a shower or bath. This room can accomodate a third person with an extra bed. 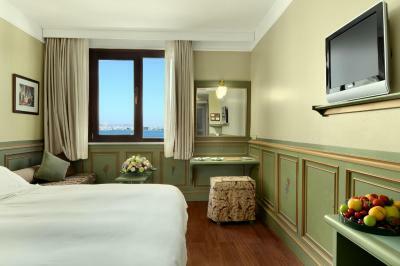 This spacious room is decorated in Ottoman style and offers full or partial sea views. It includes air conditioning, a big flat-screen TV and a minibar. Air purification system, safe and parquet or carpet covered floors are available. 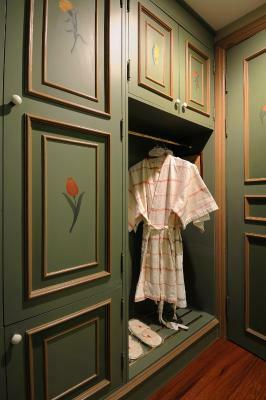 Private bathroom comes with herbal amenities, bathrobe and a rain shower. 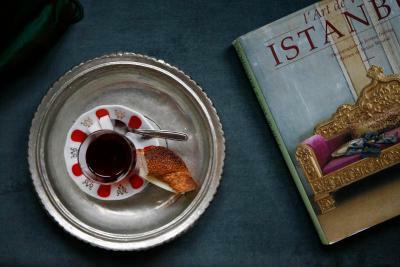 This room is decorated in Ottoman style and offers sea or Blue Mosque views. 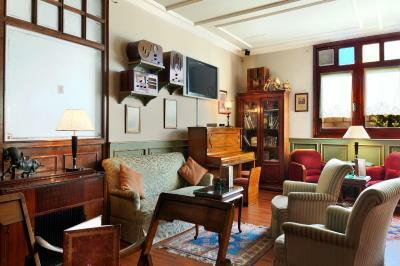 It includes air conditioning, a flat-screen TV and a minibar. Air purification system, safe and parquet or carpet covered floors are available. Private bathroom comes with herbal amenities, bathrobe and a rain shower. 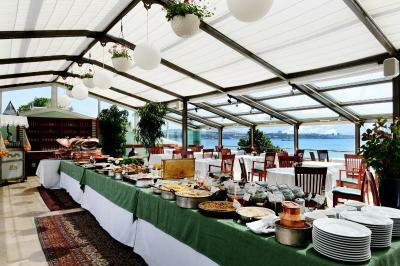 Welcome to Armada Hotel: For anyone seeking an authentic Istanbul lifestyle in Istanbul! 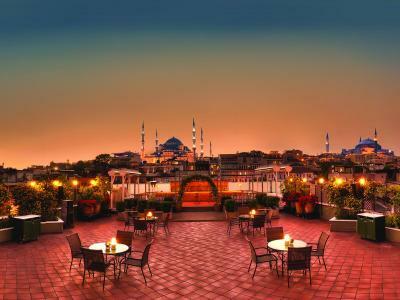 House Rules Armada Istanbul Old City Hotel takes special requests – add in the next step! Armada Istanbul Old City Hotel accepts these cards and reserves the right to temporarily hold an amount prior to arrival. 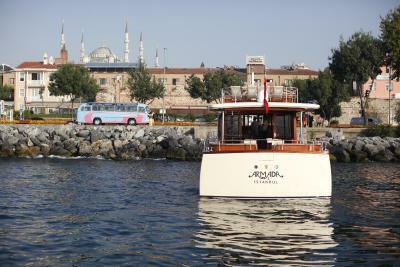 Armada Istanbul Old City Hotel offers rental boat service (Bosphorus tours) with a private yacht. Please contact the hotel for further details to use this service. There was a small leak from the wash basin onto the floor, which we dealt with using a bowl underneath. The lifts were the slowest I have ever encountered in a hotel. Despite assurances that they would be repaired, this never happened. The breakfast was a little repetitive and unimaginative. And, in a city awash with fresh fruit, and with freshly squeezed orange juice for sale seemingly on every corner, the Armada offered only fruit cordial at breakfast. Poor. The Standard Room, which I had a glimpse of on arrival, was small; fortunately, I had accepted the hotel's offer of an upgrade to a Superior Room before arriving (for a reasonable surcharge). 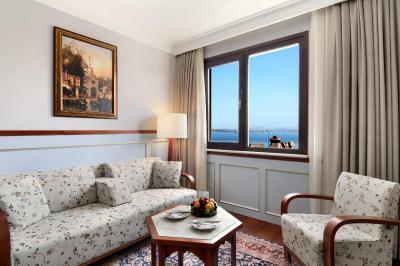 A large, comfortable room with a view of the Bosphorus. The staff were very courteous and helpful. Upstairs Barman. We asked for a drink which never came and there was no one else in there. The breakfast buffet looked extraordinary but didn't taste as good as it looked. Staff could have spoken better English. The lack of preparation of amenities such as toothbrush. Loved the location, view, great breakfast as well as the comfortably chic interior decoration. Requested an upgrading and the only difference was the view! 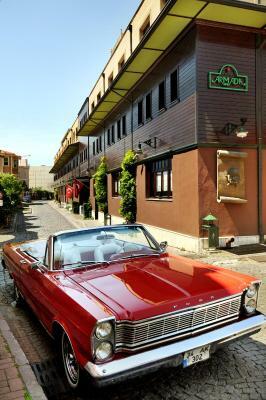 Lovely, small and friendly hotel in the old part of Istanbul. Our room had a lovely view of the sea and we were within walking distance to the best museums and mosques. 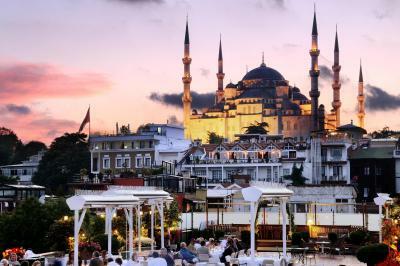 2 minutes walk to the sea side but at least 10-15minutes walk to the blue mosque and other major attractions with climbing. The restaurant for breakfast is small and the hotel sometimes accept agency traveller group that we cannot even find a seat without notice. The terrace restaurant view is great. 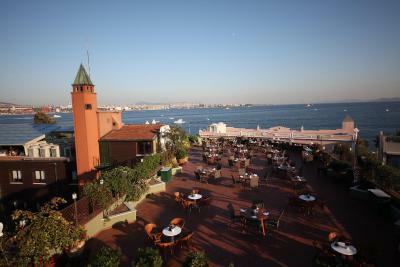 You can enjoy the morning sunshine with the blue mosque and the sea view. The evening meal is good quality as well. Staff are friendly. Very helpful and polite staff. Amazing breakfast. A lot of noise in the corridors between the rooms from the cleaning staff in the early morning and also from quests. Being close to the sea. Service was excellent, room was comfy and easy walking to everything.